One topic which nearly all of us have heard about over the past few years has been Medicare for All. Opinions about it vary widely, with some people believing it would be the simplest, lowest cost, and most efficient way to provide healthcare to everyone in our country; other people fear that it will cost too much and take away benefits from the senior citizens who have paid into the system during decades of working. Both the enthusiasm about potential cost savings and the concern about potential risks are valid. Because of the confusion around this topic, I asked our Medicare expert, Danielle Roberts, to explain to our readers how Medicare currently works, how a Medicare for All plan might potentially work, and why some people have legitimate concerns about the plan. It is important to remember that NO final decision has been made about whether our federal government will consider such a program, let alone how the final plan might actually work. Although the currently proposed plan, as described in the guest post below, calls for zero co-pays, premiums and deductibles, I personally feel this is unlikely to be the final decision, should some version of Medicare-for-All be implemented. 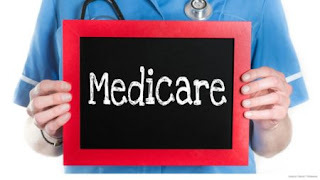 Under our current Medicare program, the government has been trending towards Medicare supplement plans which combine private insurance, co-pays and deductibles with the government backed medical isurance program. They want patients to "have some skin in the game" so they do not run to the doctor for every splinter or sore throat. As a result, it is likely the final Medicare-for-All plan would require at least some private insurance company involvement, premiums, minimal co-pays, and possible other costs to the consumers. I also wanted to mention that a recent study, paid for by conservative Republican donors, the Koch brothers, estimated that even without consumers paying deductibles and co-pays, the state, local and federal governments together would save trillions of dollars with Medicare-for-All. This does not mean that the plan will be cheap for the government to administer; but it does mean it would be much less costly than the current system in which various government agencies reimburse hospitals and other providers for some of the costs they incur when sick people cannot pay. In addition, other studies have indicated that hospitals are more likely to remain open in poor and rural communities when virtually everyone in those communities has some insurance coverage. Change is hard and rarely goes smoothly. Even positive changes, such as a new baby, job or home, can create stress, confusion and fear. We can expect the same to be true with any major change to our medical care system, whether it is Medicare-for-All or something else. Keeping those thoughts in mind, below is the fair and balanced report by Danielle Roberts, explaining both the pros and cons of the Medicare for All plan which is currently proposed ... the one in which patients would have no co-pays or deductibles. She does an excellent job of covering the details and issues more thoroughly than I have, since she is a Medicare expert, licensed to practice in nearly every state in the U.S. The Medicare for All movement may have been on the back burner for a bit, but it is certainly not forgotten. The idea and terminology became popular during presidential candidate Bernie Sanders' campaign and his subsequent legislative bill which was filed in September of 2017. You can expect it to be a particularly hot topic in the upcoming November elections. Democrats recently launched a Medicare for All congressional caucus made up of 70 founding members. But what does it mean really? And is there a chance it is actually going to be in our future? Many Americans may not realize it, but we already have a form of national health insurance in place here in America and that’s Medicare. It is a health insurance program financed and overseen by the federal government. So, the term Medicare-for-all began with the idea of expanding our current Medicare system to all Americans. Medicare-for-All is another term, albeit more positive-sounding, for national health insurance or a single-payer health care system. Proponents of Medicare for All point out that most other free-market countries, like Canada and Britain, all have some sort of universal health care system in place. In these countries, citizens have access to healthcare regardless of their age. Supporters say that such a system would be more efficient and result in lower costs for health care and prescriptions for all Americans. They believe that better healthcare would be the result and therefore it would improve life-expectancy. In its purest form, it would eliminate the role of private insurance carriers in health coverage, although some versions call for both private and public insurance to be an option. The Medicare for All movement calls for coverage of all medically necessary services as a basic right, instead of as a privilege. Medically necessary services would include preventive care, physician’s services, inpatient care, outpatient care, emergency care, prescription drugs, durable medical equipment, palliative care, mental health services, substance abuse services and approved dietary and nutritional therapies. It would also extend beyond our current healthcare system to cover long-term care, dental, vision, hearing, and chiropractic care. The government would also be able to negotiate with drug manufacturers to lower prices on the nation’s behalf, and this is certainly important to many people as costs of prescriptions in the United States are some of the highest in the world. All U.S. residents would be able to access at least all of these services with no cost-sharing. This means that at the time of service there would be no deductibles, co-pays or coinsurance of any kind due by the patient. Supporters envision a world where there would be no major medical bills, no medical bankruptcies and a simpler healthcare system with less bureaucracy. People could get their healthcare without fear of creditors or bills which later show up in their mailbox. It is important to note that our current form of Medicare does NOT offer this feature. Medicare beneficiaries pay monthly premiums for their Part B and D coverage, and they also are responsible for paying considerable cost-sharing in the form of deductibles and coinsurance. Even in this format, with Medicare collecting premiums and cost-sharing, trustees this year warned in their annual report that the current Medicare fund will begin to fall short in 2026. This outlook is even worse than it was last year when the fund was projected to fall short in 2029. If Medicare is already unsustainable, how could it bear the burden of all Americans joining Medicare and paying no premiums, deductibles, co-pays, or coinsurance? While the idea of Medicare-for-All is noble, Congressional members may have a long way to go in structuring the type of program that would be sustainable and affordable for our nation. The National Review reported recently a study which projected that Sanders’ version of Medicare-for-All would cost the nation $32.6 trillion over the next 10 years. Medicare-for-All caucus members must look at how other countries finance their single-payer systems and how the United States might do the same. In Bernie Sanders’ version of Medicare-for-All, health insurance would be permanently separated from employment. Americans’ eligibility for Medicare would initially drop from age 65 down to age 55 and also cover children up to age 18. Over the following four years, the age of Medicare eligibility would continue to drop until all Americans became eligible for Medicare. Out-of-pocket costs would be eliminated, and benefits would be expanded. The plan would be financed by employers, an income-based premium paid by households, and progressive income tax rates. Under Sanders' plan, capital gains and dividends would be taxed as ordinary income, there would be limited tax deductions for wealthy people, as well as an increase in estate taxes for the wealthiest Americans. Opponents of the program, however, say that Medicare for All would be so expensive that it would quickly become Medicare for None. They claim it would also divert the focus of Medicare from seniors, ultimately hurting them and moving them to the back of the line for care behind younger persons. Cuts to pay for doctors and hospitals might, they say, make it harder for seniors to find doctors who accept their coverage. They have also argued that if millions of new beneficiaries are brought into the program, there would be fewer doctor appointments to go around because Medicare already faces shortages of primary care physicians. Supporters have responded that while the program would surely be costly, Medicare-for-All would make that up by streamlining operations to reduce high administrative costs and to lower prescription drug costs. Would the savings from new efficiencies in care be enough to take on the extra expense? This remains to be seen, but it’s a step in the right direction that Congress is still talking about health care solutions and recognizes that what we have done thus far is not enough. The key may lie in finding the happy medium between private and public-sector insurance. There are varying iterations of how a Medicare for All program might ultimately look. Some versions of Medicare for All call for a mixture of private and public insurance rather than a single-payer plan, and this might be very important if they hope to eventually gain the support of insurers and insurance industry lobbyists. We can only hope that both parties will come together to find one solution that works for the good of all Americans. About this Guest Post Author: This guest post was written by our Medicare expert, Danielle Roberts, one of the co-founders of Boomer Benefits and a frequent contributor to this blog. As always, we greatly appreciate her willingness to share her expertise and her ability to calmly explain difficult to understand issues in plain English. While Medicare for all seems to be blurry at the moment, it is important to make out the most out of what we currently have. That is why knowing the different healthcare options to cover sudden medical expenses is as important as keeping yourself healthy. To help readers find health insurance for seniors, here are some of the options that you should know and consider first: freemedsuppquotes.com/senior-health-insurance-options. With proper health care planning, a senior will be able to handle health care expenses effectively than those who are not aware of those options (while we are still waiting for Medicare for all or other sorts that could save us from healthcare crisis). Thank you for the information you provided. It is important for everyone to get the most from the health insurance which is available to them now. This would be a complete disaster. Not only would it be too costly, requiring more government theft from job creators; but care would rapidly decline, doctor shortages would be pervasive, waiting lists for care would be ridiculous, and medical schools would shut down potential doctors leave the field of medicine. 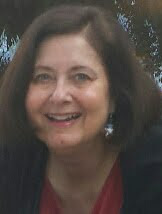 We can't continue to look to other countries like Canada and European countries and say, "it works there, why not here?. America is different. America is much larger. America leads the world in medical research (that would cease, too). Having created the 1st & ONLY M4A model in 1989 it will no longer work in its present form. Medicare represents a convoluted administrative system and contentious relationship with Providers. THEY will not accept it & further put 80% of hospitals immediately in the red. www.unitedstatesuniversalsystem.com addresses the issues found in the article. It integrates all Public, Pvt., & Employer formats & current funding into ONE flexible, vertical, universal system. It is the ultimate hybrid, unting aspects of the German.French &canadian systems, as well as aspects of the ACA, Clinton Task Force, Public Option and many other current & past proposals.